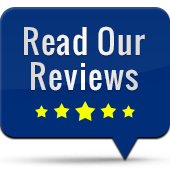 Read what our valued customers have to say about AMF Tire! Here at AMF Tire, we're committed to providing the absolute best in products and service. We offer complete service for most cars foreign and domestic, including oil changes, scheduled maintenance, tires, wheel alignment, wheel balancing and more! Leave us an online review or check out what some of our customers have to say about our service below. We appreciate your feedback. Best mechanics in South Florida. They have serviced all my Mercedes-Benzs for the last 5 years. Just awesome service and superior quality of work. The best service with honest quality work. I highly recommend. These guys are honest and thorough. I am grateful! Good, prompt, reliable service. Knowledgable staff. Fair prices. Great service! All connected with AMF Tire are exceedingly helpful and knowledgeable. They come highly recommended!! Great and knowledgeable staff. Great service and prices on used tires. Safety seems to be a great priority here!